At a glance | Sonipat | Tourism Hubs | Haryana Tourism Corporation Limited. Sonipat, also spelled as Sonipat, has ancient significance as it is believed that it was founded as Swarnaprastha (meaning Swarna=Gold; Prastha=Place "Golden City") by five Pandava brothers during the time of Mahabharata. As per another legend, this place belongs to Raja Soni, the thirteenth descendent of Arjuna, one of the Pandava brothers. It is also believed that the earliest reference of this city comes in the epic Mahabharata and this was one of the five villages demanded by the Pandavas instead of the kingdom of Hastinapur. The other four villages were Panprastha (Panipat), Baghprastha (Baghpat), Indraprastha and Tilprastha (Tilpat). The city has also been noted earlier by the great grammarian Panini in his celebrated Ashtadhyayi, meaning the town was already in existence around 600 B.C. Location: Located 28 kms. from Delhi. It lies in the south-east of the state of Haryana, north of Delhi and is bounded by the districts of Rohtak, Jind and Panipat. 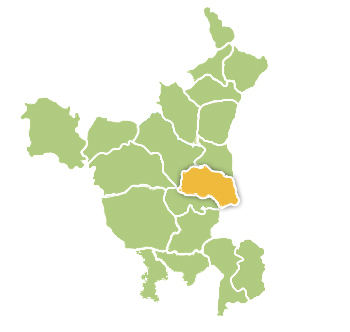 The district shares an inter-state boundry with district Meerut of Uttar Pradesh. The river Yamuna runs along the eastern boundary of the district and separates it from Uttar Pradesh. Postal Code: 131001 | Longitude: 77° 1' 0 E | Latitude: 28° 58' 60 N | Area: 2,260 sq km (870 sq mi) | Altitude : 721 feet, 219 meters | Population: 1,480,080 (Census 2011) | Literacy Rate: 80.80% | STD Code: 0130 | Villages: 343 | Language: Hindi, English | Best season to visit: All seasons to visit. The nearest airport is Indira Gandhi International Airport and is at a distance of 67 kms. The railway station is along the State Highway No. 20, near the ICICI Bank. Some of the important trains that pass through Sonipat are Delhi-Chandigarh Shatabadi, Jhelum Express and Himalyan Queen etc. The bus terminus is located along State Highway No. 20, before Mama Bhanja Chowk. There are regular bus services to neighbouring cities and towns.